Dr. Ted Naiman is a board-certified Family Medicine physician who has used his extensive knowledge and understanding of diet, nutrition, and exercise to treat patients, helping them lose weight, greatly improve their health, and drastically improve – in some cases reverse – metabolic and autoimmune diseases. Having been a vegetarian and a steady-state runner, Ted’s focus is now on optimizing body composition, strength, and endurance using a high-fat, low-carbohydrate diet and high-intensity training. In addition to his medical practice, he is also a musician, an Ultimate player, and a practicioner of Krav Maga. Have you listened to the first episode with Ted yet? Check it out by clicking here! Do free-range, organic, and grass-fed really matter? This episode is brought to you by former podcast guest, Alex Fergus, Alex is a passionate health coach and has worked with 100s of clients to help them transform their body composition and health. 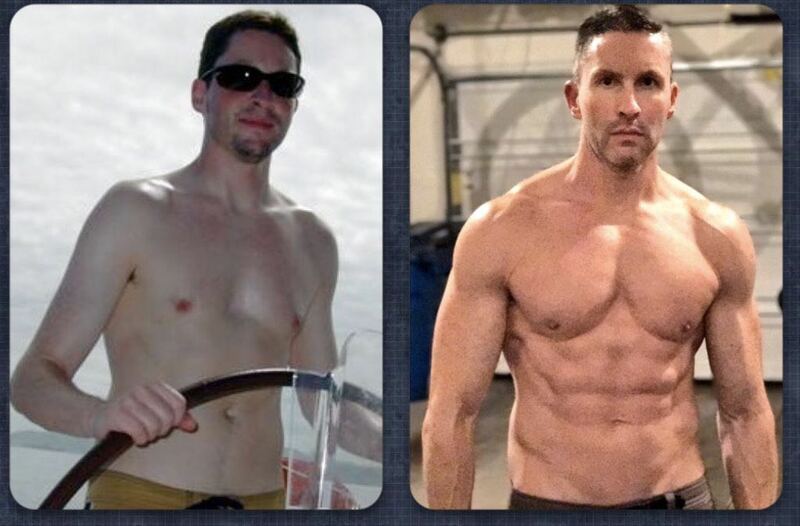 He’s been featured on Paleo f(x), The Mind Muscle Project, and Superhuman Coach. Alex is an accomplished athlete, representing New Zealand in rowing, winning national bodybuilding titles and breaking powerlifting records. He’s a beast, and has very impressive quads, and won the Paleo f(x) RealFit competition, beating people like Ben Greenfield, and get this – 9months leading up to the competition, Alex only trained for 15min per week using BBS HIT principles. Alex pays close attention to every aspect of his health. As a former chronically sleep-deprived young adult, Alex has invested heavily to optimise his own sleep quality for maximum benefit and has devoted much of his time to researching how to maximise sleep quality to improve your overall health and performance. Alex is giving away a FREE 4 part sleep improvement series with tips that will help you fall asleep faster, give you more energy, and improve your body composition. To get access to his FREE 4 part sleep improvement series, go to highintensitybusiness.com/alex and sign up now. Fairly recently, Ted posted something interesting on his Twitter page, giving us a quick look at his bodyweight HIT routine and his resulting gains. QUESTION OF THE DAY: Have you tried doing a daily / high-frequency HIT workout? How did it turn out for you? Please let me know in the comments at the bottom of this post. I bet you know already , but Brad Schoenfeld announced that some future studies will show that high frequency (above 2x week) isn’t necessarily better than 1-2x week. As he states, total volume in a week matters most. Just wanted to share. Saying this, like Ted mentioned , higher frequency is probably not inferior per se , as long as total workout volume per session is managed. Second, I completely agree with the protein leverage hypothesis! 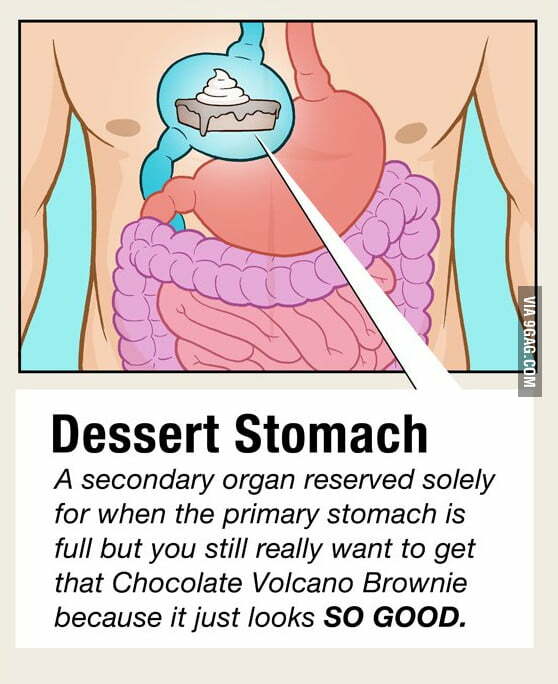 However, I am surprised Ted did not discuss basic human anatomy first, where was the discussion of the second human stomach , the ‘dessert stomach’? https://images-cdn.9gag.com/photo/5881756_700b.jpg. Cheers Julien. Once Brad published that I joked with Ted saying that it contradicted our podcast hahah, he found it funny. Not familiar with the second stomach thing. I will prompt Ted to see if he wants to comment. Haha, I wish I could’ve put some sarcasm emoticon in here , as I was joking around a bit. “Dave Asprey: It’s interesting. I finally, look…the Bulletproof diet is a low to moderate protein diet but a lot of times, especially when you back into the ’80s/early ’90s, there’s these high protein diets to try to force the body to burn protein for fuel. If you’re on a low carb, high protein, low-fat diet, what happens to the body? Mark Sisson: Oh my god. I mean, yeah. Right, so your body is trying to convert excess … First of all, it’s trying to get rid of what would be considered a toxic amount of amino acids. Then it’s trying to convert some of those into energy. It’s a very energy inefficient pathway. It probably has a lot of reactive oxygen species and free radical damage that accompanies it. The irony is that most of the guys who were doing that, or a lot of the guys who were doing that – 300 grams of protein a day – were also doing steroids so the body could actually use all of that nitrogen and incorporate it. If you’re an average person trying to take in 300 grams of protein a day, it’s not only counterproductive, but then we can talk about the mTOR pathway. Dave Asprey: Yes, that’s where I was going. Mark Sisson: Yeah, so you can talk about the upregulation of some of these growth pathways that benefit a young child who’s growing or benefit a teen adolescent who is trying to put on weight. At some point, growth in the human body segways from muscle mass to precancerous conditions and things like that. I think there’s a real whole area of investigation into what is an appropriate amount of protein, and how much is too much. I know guys like Ron Rosedale have been talking about this for a long time. Ron would say more than a 100 grams a day is problematic. I’m not sure I’m there yet, but I can say 200 a day is problematic. As we look at … that kind of brings us back to, “What is a meal? How many meals are you gonna eat in a day?” How could you possibly eat 250 grams of protein a day in good conscience and think that you’re doing yourself a favor. Unless you’re trying so hard because you’re doing skinless chicken breasts … and by the way, Dave, have you ever tried to eat a lot of skinless chicken breasts day after day after day? Mark Sisson: It’s horrendous. You get sick of it so quick, so anyway, we’re back to what sort of things we eat on the Keto Reset Diet? Cheers Rob! I loved recording it with Ted. I’ll ask Ted to share his thoughts. Careful with the word validate lol. Thank you for pasting the transcript. It does seem like they are talking about an excessive amount of protein though? Hi Lawrence: The way I understood the Bulletproof Radio podcast is not that they are neccessarily talking about an excessive absolute amount of protein – just that the protein % is high compared to carbs and fat (ie the diet that Ted, Shawn and yourself are following). Dave and Mark seem to be saying that by following this ‘high protein %’ approach it leads to upregulated gluconeogeneis which they feel is a bad thing due to the increased free radicals, whereas Ted seems to feel that upregulated gluconeogenesis is a good thing. Hope that makes sense? But in terms of ABSOLUTE levels of protein: the recent studies published by Jose Antonio, Eric Helms etc have shown that over 2g/ kg are beneficial for hypertrophy and strength. In fact they now define high protein as anything OVER 2g/ kg/ day. Chris Masterjohn, Donald Layman, Gabrielle Lyon, Layne Norton and more seem to support this point of view. But Mark and Dave still feel certain that 2g/kg and above is certainly harmful. But what studies are they basing this point of view on? I know they are both invested in LCHF diets at the moment, but even so, they both have a reputation to maintain in terms of going with the prevailing scientific literature – after all their whole listener base is founded on that reputation.. I’d love to hear Ted’s view on this dilemma! I’m not saying Dave and Mark are wrong, I agree with most of the above but remember they’re both in the business of selling high fat diets, caveat emptor! Hi there Lawrence! Another interview with a great room for thought. Great job in this regard. Now to the question of the day: The closest I came to everyday workouts was about 10 years ago, when I practiced a method called HST (Hypertrophy Specific Training), which stands for increased frequency, moderate vloume and intensity. Basically it was 3 weeks of 3x fullbody workouts per week, 1-2 exercises per muscle group, about 8-10 in total (over and again), 1 WSNTF, then 1 week 1 WSTF, folowed by 2 weeks of “strategic deconditioning” e.g. active rest from strenght training. I discontinued it after about four months, because I developed significant pain in both elbows and lower back. In the time I was not doing “slow”, but rather ” controlled” movements. It was barbells, dumbells and machines. IMO I had a rapid build up of strenght due to the frequency and the limited exercise selection, to which my answer at the time was increased weight on the bar. As for appearance, I did notice a change, such as may be subjective muscle feel and fullness, which also would go away during the 2wks deconditioning phase, so from my today’s perspective it was rather inflamation based effect. Nothing stayed with me after I discontinued, besides the lower back pain, which accompanied me for another half year or so… So it was not exactely everyday and it was not good form HIT and it gave me hell pretty quickly. So I’m thinking why I would like to train bodyweight every day and be able to progress to one arm chins (altgough with my 88-90 kilos seems unlikely), only to loose it if I do not practice it for two weeks as happens with Ted Naiman?! Still believe that adaptation and deadaptation must be considered a great deal, when a workout is designed. For me problematic is the definition Grams per pound of bodyweight or lean bodymass…always confusing and not the same imo. “Ramping up” for a 150 pound person is one thing and for 220 pounds person totally different in real food! If you are 220 pounds and you consider eating real food and your calories…well things get tough. From ′The Mentzer Method to Fitness – A Revolutionary Weight-Training System for Men and Women′, by Mike Mentzer with Ardy Friedberg (1980). p. 179. It’s antiquated, old, but somehow I belive works as well. Yes fasting helps, But I have found for me that making protein the basis of my meals gives me much more satiety. So much in fact, that I can eat ~1,500 calories a day and feel satiated, which is 3-400 less than my basal metabolic rate. I do wonder whether this is a problem, if I intend to increase lean mass or even retain what I’ve developed. But nonetheless, this method seems to work very well to limit calories for fat loss. On your last point, whilst I’m a big fan of Mike Mentzer, I don’t think I agree with this quote. Plus, he was a genetic freak and therefore doesn’t prove he could not have done even the same or better with more protein. But hey, maybe we’re splitting hairs and the body finds a way regardless (to build muscle from the RT). Dr Stuart Phillips recommends at least 1.6g of protein per kg. I eat about 1.9kg. I don’t find it tough at all. Thanks! The real point of my comments above is, that examining all these matters require a broad variety of viewpoints. And, that we should not be affraid to question even what we think is 100% logical. Interesting to learn about your experience. I’m yet to experiment with this frequency for a long duration since just 3 times per week seems to wiped me out. I will probably stick with 2-3 times per week full body. Fun episode here, I have a few thoughts as usual. I find some Ted’s views on nutrition attractive but honestly it sounds like some of his rationalisations are made up on the spot, he’s constantly moving the goalposts. I also find it hard to believe someone that is so quietly yet closely aligned with the ideological cranks at WAPF. To use another skeptic’s saying “extraordinary claims require extraordinary evidence”. Some of his ideas about vegetables are laughable, some are just downright false. Brassicas for example have been a documented crop for centuries, kale was artificially selected for from at least 1500yrs ago for example and cultivated in America from the early days of colonisation. I won’t go into depth on my views on industrial animal agriculture here but it’s not good for the animals, the environment or the consumer, even if it were perfect it’s not going to feed 7 billion people. Ignoring that though Lawrence, read “The Ginger Pig Meat Book” if you want to understand why not to buy meat from the supermarket and get some expert cooking advice at the same time. I appreciate the contribution Andrew. And agree with much of your points re Ted’s HIT. Enough anecdotes do make for an interesting hypothesis though, yes? Useful data can be hard to come by due to funding bias. So I suppose N=1 or N=many in Dr Shawn Baker’s case is what we have to do in the meantime. I don’t know if I agree with you on your second paragraph. Ted is very well red and IMO intellectually honest, and I will invite him to respond to this. Lastly, I would say Ted agreed on your last point and pays extra for the higher quality animal products and avoid big food industry. I may read that – cheers! Hi Lawrence. I don’t doubt Ted’s intellectual honesty or his depth of knowledge, I just get the impression that there’s an awful lot of motivated reasoning at work. Totally agree re the difficulty in coming by good data, I’m I st not sure Shawn’s approach is right either. In any case the anecdotes provide great jumping off points for properly conducted trials but good luck as you say, getting the funding! Seriously grab that book, it gives a real insight into best practices in animal farming without being a lengthy read, the recipes are a bonus too. Living in Galway you shouldn’t have any problems putting the ideas into practice and meals on the plate. Also thinking of books, I know it may be scoffed at but the “River Cottage meat book” is actually a very comprehensive guide, especially when it comes to giving the quality and impact of the product you buy. I mean, it’s always interesting to read the viewpoints of people I disagree with, and I usually hope they present some sort of argument that challenges my own viewpoint to evolve. With that said, Ted seems like a decent-enough dude, but there is so much wrong with what he’s peddling. I agree with Mr. May, he’s taking his N=1 experience and presenting it as some sort of real insight. One of my problems is that it’s hard enough as it is for me to convince people to not exercise so frequently, and then you have an HIT advocate telling everyone it’s ok to train daily. It may be for some people, of course, but my own personal experience is that most people will not benefit from it. I certainly don’t. I didn’t come to my conclusions on training frequency because I had a particular dog in the race. I came to my conclusions based on sheer observation and experimentation. Right now I’m down to training every 9-10 days and am still getting really good, measurable results from week-to-week. But It took me literally more than a year to “risk” reducing frequency that much. I had stagnated in my progress for at least a year and even increased the frequency of my workouts in an attempt to re-stimulate gains, and it wasn’t until I increased my recovery time that I started to progress again. We have to stop with this myth that frequency is efficient for most people. It simply isn’t. Another example of Ted’s blindness to his N=1 bias is his feats of strength. The form on his one-armed pushups and pistol squats is actually rather poor. My own form on those are significantly better than his. HOWEVER–he can actually perform a one-armed pull-up. I am nowhere near achieving that feat and am starting to doubt I ever will. What this means is his body responds better to that kind of movement and my own body responds better to one-armed pushups. But training frequency is probably not the primary factor behind his ability to do a one-armed pullup. It’s probably a factor, because he seems to respond well to high frequency, but, again, his form in the other exercises is not that great even though he’s training every day. Again, it just emphasizes the fact that we all respond differently to different methods and movements. Finally, this low-carb fetish amongst the HIT crowd is starting to wear thin on me. It’s basically a religion at this point. How is claiming that celery is “toxic” any different saying one will go to hell for drinking alcohol? Both are ridiculous claims that have no known basis in reality. I went low carb for a long time and saw no significant difference over the long term in comparison to any other diet. Again, I had no dog in the diet race, and, if anything, was hoping for meaningful results from eating a lot of meat, but it just wasn’t true in my own N=1 case. Portion control, seems to me (both from my own experience, but also from my observations of others) to still be the most effective method of weight control and of influencing body-fat composition. At the risk of violating the religious precepts of the HIT Low-Carb cult, I’ll even admit that at the current moment I’m a vegetarian. And guess what? I’m not any weaker or less muscular than I was before I went vegetarian. In fact, there’s no real difference other than my digestive system seems to work more efficiently when I’m not eating meat. But, sure, as we all know, vegetarianism and veganism is very often turned into its own religion. But when it comes to diet, there’s a lot more that goes into other than, “Celery is toxic. Carbs are evil.” And people need to be encouraged to experiment and find what works best for them. All this talk of carbs being toxic and evil is preventing a lot of people who might benefit from higher carb consumption for experimenting with it, because they have been indoctrinated with the idea that if they eat carbs they’ll… I don’t know… die of lung cancer by age 28, without any abs. Mr. Neal, I hope I’m not coming across as unappreciative. I love your podcasts and I love how you’re getting so much varied and overwhelmingly good information out to the masses. And I’m glad that a lot of that information differs from my own perceptions and experiences, because that means that it gives people an opportunity to try different things and see what works best for them. Because, in the end, what works for me isn’t going to work everyone else, and so on. But I did feel compelled to speak up on this episode. Thank you for your thoughtful contribution Manny. I appreciate the points you have made and I’m pleased that this episode has stimulated a healthy debate. Just one thing – Ted didn’t say that drinking alcohol will make you go to hell lol (I know you were exaggerating in jest), but he’s seen that it can shrink critical parts of the body and brain when abused. If one is serious about optimising their body composition, I think one could argue that alcohol consumption should be minimised or even eliminated to that end. Right. Thanks for the response. My comment on alcohol wasn’t meant to address Ted’s thoughts on alcohol (which, I actually agree with). It was more to compare how his thoughts on the toxicity of veggies are as superstitious and ridiculous as any other religions claim. I apologize for not being clear on that. I’ve noticed that all of these comments have been posted during the working day and not on the weekend. Are you all opting to leave a comment during work (LOL) and did you listen to the episode on your commute? Very curious. I’ve found over the years that most forum/social media activity occurs during work hours, during weekends we’re making the most of our time otherwise a lot of us are doing anything we can to avoid bird or of going about our mundane tasks. Lol, I however am these days self employed (work from home) but listen to podcasts etc while I work, I’ll mull them over and comment during an afternoon break. As a father of a 3-month old, I would be interested to hear Ted’s thoughts on formula (if supplemental to breast milk) and what to start feeding them when they start solid food especially considering the popularity of baby cereal as introduction to solid food. I don’t remember if this even came up in the previous podcast.